Committee secretary Victor Sandison confirmed the matter will be discussed at their next meeting and said they are aware of an appetite for change in some parts of the local community – but he denied rumours that any decision had been made to let girls in. Every year at the end of January, thousands of Shetlanders pay fiery tribute to the spirits of their Viking ancestors during the Up Helly Aa festival in Lerwick. 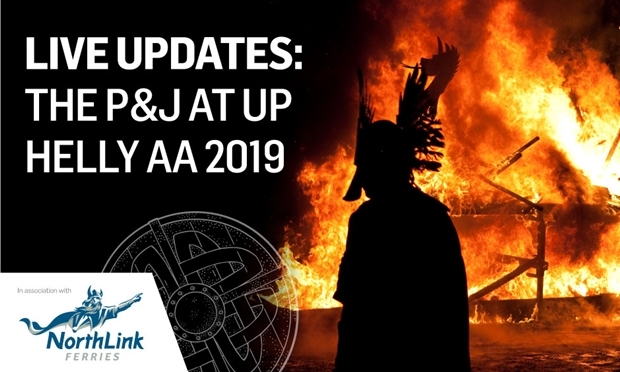 In the junior Up Helly Aa, a “jarl” – or Viking leader – is selected by his peers from Lerwick’s Anderson High School to form a squad of up to 15 boys. All primary seven boys in Lerwick, as well as boys in secondary one and two, are then asked if they want to create squads and march in a junior procession. 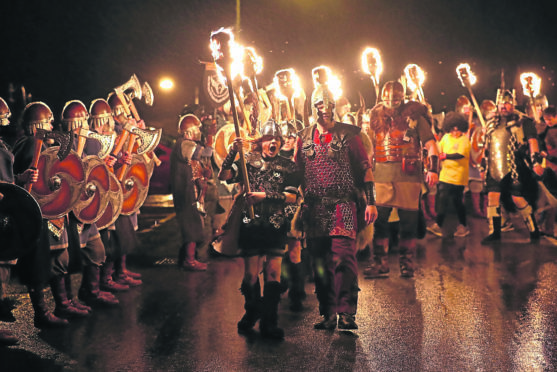 The committee has said previously that they will be hosting “hop parties” – the day after Up Helly Aa – outwith the school from next year as part of a long term process to move the junior Up Helly Aa festival arrangements away from school to an independent group. Parent Johan Adamson, who has 12-year-old twin girls at the high school, has now called on all mothers and teachers to come together to promote equal opportunities and let girls into the squads. She said: “I think the fact the committee is discussing it is a step in the right direction and I do expect it to change this time. If they don’t allow change, they will have to have the whole junior Up Helly Aa outside the school and they will have to have meetings outside the school. “I think we are closer than we have ever been (to letting girls in). It’s all to do with equality in the school and what’s happening nationally with woman’s rights at the moment. Ms Adamson and Mr Sandison said that if the junior committee did decide to allow girls to take part, they would have to clear it with the organisers of the senior event as they need their support. Mr Sandison said: “At the moment the junior committee is yet to have a meeting following the junior festival this year, and at this time there’s no decision been made about the future of the junior festival and any change from that. He added that the next meeting will take place “before long”.